Smoking is not just bad for one’s overall health, but also for the results after hair transplant procedures. However, habitual smokers may make the mistake of indulging in a few cigarettes after their procedure. This often makes them feel extremely guilty, since they already warned by their doctors to avoid smoking. They often worry that their grafts may not survive. But does smoking actually hurt the transferred follicles? And if yes, to what extent does this occur? Hair transplant patients should consider the impact of smoking for their procedure results, but also their overall health as well as the well-being of people who are around them. With time, smoking can cause damage to the respiratory system, making it harder to breathe. It can even lead to lung cancer. Heart disease is one of the major health risks of smoking and many other types of risks. In the United States, smoking accounts for almost 20% of all deaths from heart disease in both men and women. Smoking can have a negative impact on non-smokers who are nearby. This is of particular concern when it comes to children. According to WebMD, exposure to tobacco smoke accounts for about 70,000 deaths each year from heart disease. According to a Research on identical twins with the genes for pattern; baldness will show different manifestations of their condition, depending on lifestyle habits. Siblings who smoke will display a greater extent of hair loss compared to the other twin. Environmental factors can affect how fast hair will fall out in those with the genetics for androgenic alopecia. 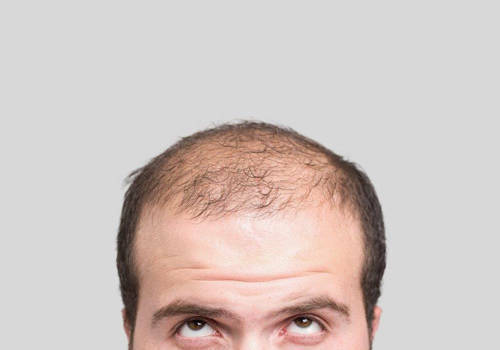 How Smoking Affects Hair Transplant Patients? Nicotine from cigarettes will cause the blood vessels to harden and constrict. In addition, carbon monoxide reduces the ability of the blood to carry oxygen. According to Clinicana’s doctors, smoking also increases the risk of skin death (i.e. necrosis). This effect can be minor or larger in scale, depending on the number of cigarettes the patient had smoked in the past. It has found that smokers who underwent surgeries requiring significant areas of skin excision (e.g. flap surgery and scalp reduction) face a much larger risk of skin necrosis following a hair transplant procedure. Patients who have smoked heavily for many years will have experienced drastic changes to their circulatory system that will more likely affect their wound healing capabilities and the survival of their grafts. But in those who are light or moderate smokers, making a mistake and smoking a few cigarettes after a procedure may not have much of an impact. There are many examples of smokers who have been able to experience successful hair restoration results. But at the same time, there is still the risk of lowered density for others who regularly smoke. Usually, hair transplant surgeons recommend that patients abstain from smoking about one week before the surgery and two weeks after the hair transplant procedure. However, it may be ideal to allocate a couple months before and after the operation to help optimize the results. According to the same last Research on identical twins with the genes for pattern, baldness will show different manifestations of their condition, depending on lifestyle habits. If a patient has abstained from smoking for the recommended time period following their procedure and continues with cigarettes afterwards, they will still experience a rather high risk of losing more of their donor hair in the native areas. Due to the presence of sensitive protein receptors on these structures, these follicles can still be affected by DHT. Compromised blood circulation due to smoking will further deprive these structures of the oxygen and nutrients they need. Therefore, miniaturization can occur much faster. Therefore, patients may want to think about quitting cigarettes altogether, rather than simply avoiding cigarettes during the recommended time frames before and after their hair transplant procedure.